Four friends of David Koschman told detectives earlier this year they’d be willing to take lie-detector tests to back up their recollections that Koschman wasn’t being physically aggressive when he was punched in the face by a nephew of Mayor Daley in a drunken confrontation in 2004 that led to his death. 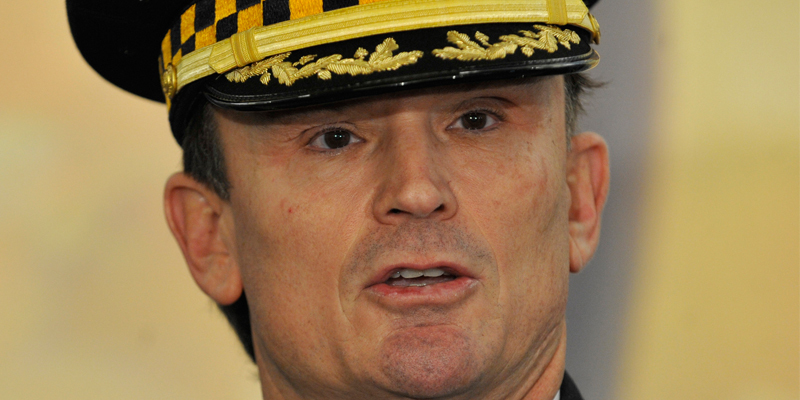 It’s time for someone to take them up on that, former Chicago Police Supt. Jody Weis says. In an interview, Weis said he was the one who ordered a new set of detectives to re-examine the evidence in January, after the Chicago Sun-Times asked for documents from the 7-year-old case. The police formally closed the investigation on March 1, which was Weis’ last day on the job. They concluded that Vanecko shouldn’t be charged because he acted in self-defense when he punched Koschman, 21, in the face about 3:15 a.m. on April 25, 2004. Koschman hit the back of his head on Division Street and died from a brain injury 11 days later. According to police reports, the friends who had been out with Koschman told detectives he was being physically aggressive. They told the Sun-Times that’s not true and they never told the police it was. Responding to reports in the Sun-Times, Joseph Ferguson, the city of Chicago’s inspector general, has opened an investigation into how the Chicago Police Department handled the case. Q. What prompted you to ask a new set of detectives to review the police investigation from seven years earlier? A. “I had no idea that this case was open, that it existed, that it ever took place. It happened a long time ago. When I learned it was outstanding, I was like, ‘Hey, let’s get this thing wrapped up.’ We had one of our deputy chiefs, Dean Andrews, look at the case from A to Z, and, based upon the information that he reviewed, he made the decision we should close it, there doesn’t seem to be any foul play or any ill intent here. Q. Is it common when a Freedom of Information Act request comes in for the police to re-investigate what happened? Q. Can’t a homicide case stay open? A. “Oh, they can stay open forever until they’re solved. But you had a case that – at least based upon the information at the time, based upon the information that the detectives were aware of – it didn’t seem to have that intent, you know, to show a murder. It could be self-defense, it could be an accident. So we kind of knew who all was involved. It was just a matter of determining what do we want to do with this case. You get a declination, or you brief it to the state’s attorney’s office. They make a decision. You’re in consult with them, based upon the facts. . . .
“Now, you have conflicting stories. Whenever you have that, now it means, ‘OK, we’ve got to find the truth.’ We don’t know who’s lying. But somebody’s not telling the truth if you now have witnesses saying stories that might be 180 degrees out. . . . I was very encouraged they did say . . . that they’re willing to take polygraphs. “We have to get this right. I don’t think there’s any indication of any nefarious intent or anything such as that. But we do have some inconsistent stories right now. Q. What’s your reaction to Ferguson investigating?